Another Connecticut snow day has me locked away in my home office. I had work to get done, but since I was up early my long day included some arts. I had a fun time exploring the new set of watercolors, they are fancy, in little aluminum tubes. 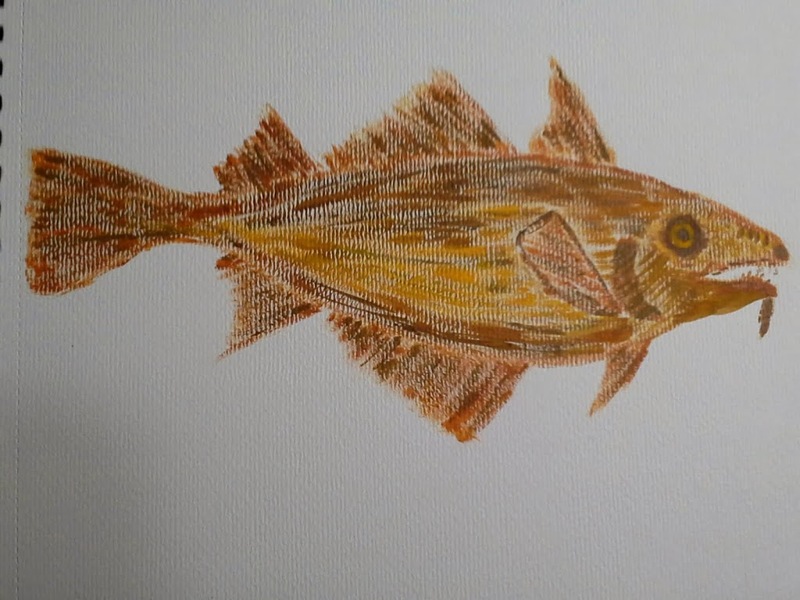 I painted this Cod, that must seem to be a funny art subject but I am working on some stories for a storytelling performance, Cod fishing and immigration are the core of my research. I stirred a big pot of chili and watched the snow assault the windows, my mind wandered. I grabbed my pad and penned the thoughts of snow, nothing fancy just a bit poetic, a rare journey for my mind.